Technical rating of trail: Mostly off-trail hiking (i.e. 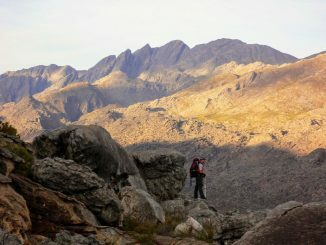 no trail at all), involving sections of very dense fynbos, uneven, loose, rocky terrain, and steep ascents and descents. 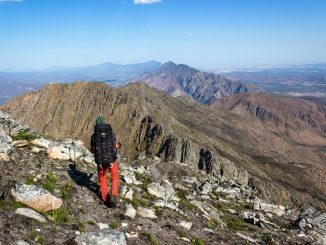 This traverse can be described as strenuous, but if you bring some ‘off-trail’ hiking experience you’ll be rewarded by an immersion in true mountain wilderness. 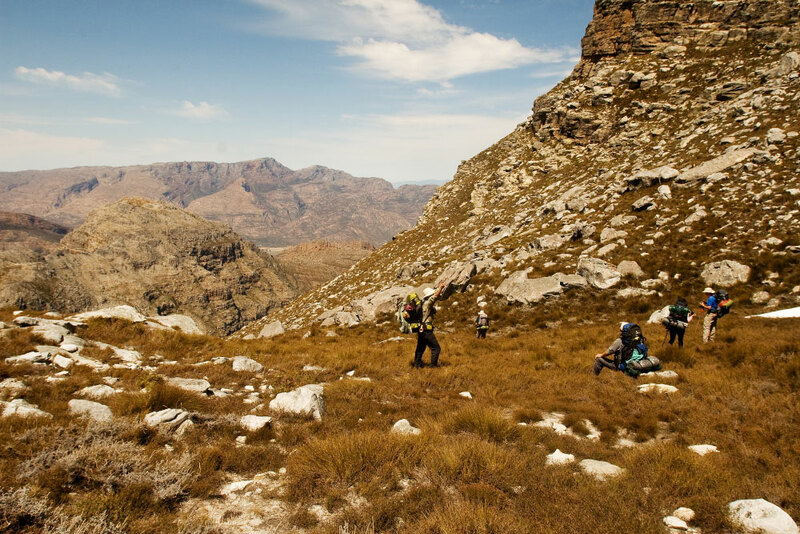 Remote and wild, Traverse 4 includes predominantly off-path hiking but also some on-trail hiking, with a technical final descent into the Hex River Valley. Setting out just outside Ceres, you slowly ease into the mountains. On Day Two, after a rich encounter with some rock paintings, you negotiate a fairly long, steep uphill. 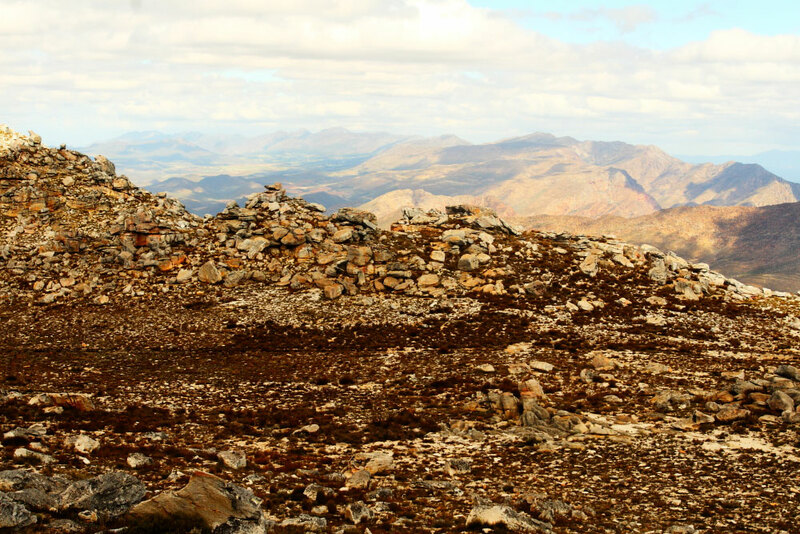 The reward is endless views over the most spectacular Hex River mountain wilderness scenery – you may even find some lingering snow, weather permitting. That afternoon, a steep technical descent and some careful boulder hopping delivers you to the gem of the Hex. As you awake the next morning (Day Three), you could be excused if your first thoughts are that you may be in Tolkien’s ‘Lord of The Rings’. 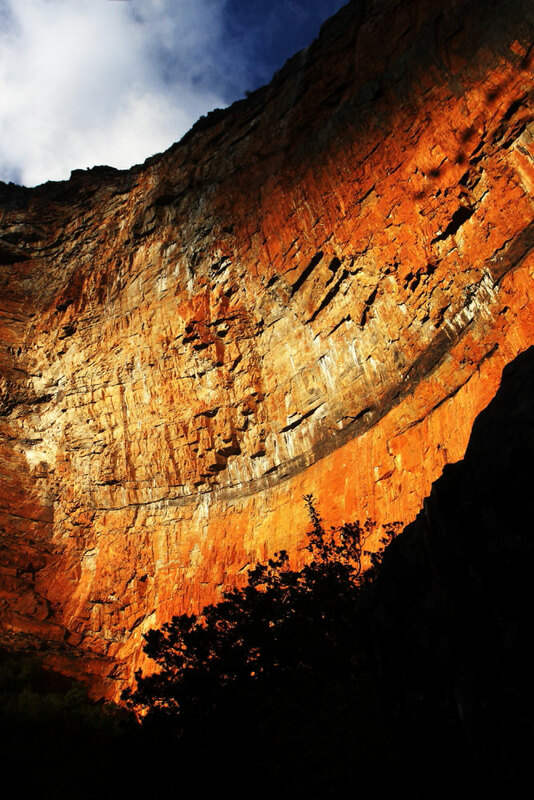 You watch the sun hit and gradually journey down the enormous sandstone rock face high up above you, as its’ rays sun gradually bring to life the rich red colour of the vast amphitheatre that leans over you. A dance under a gentle waterfall that falls from an immense height leaves you feeling invigorated and ready for the day ahead. Although one leaves this camp with a heavy heart, you soon appreciate the changed environment as you descend slowly down a magnificent kloof in the shade of gnarly indigenous trees, gurgling streams and more waterfalls. In direct contrast to the wilderness experience, you stop at the local spaza shop for a refreshing coke before crossing the N1, and make your way up another long ascent. Thick Fynbos eventually leads you into the vast Klein Karoo and its hidden niches. Looking behind you to appreciate just how far you have come from the top of the ridge, you’ll see a rare view of almost the entire Hex River mountain range. The last night out under the stars is next to a stream, that offers a view down the Nuy Valley. 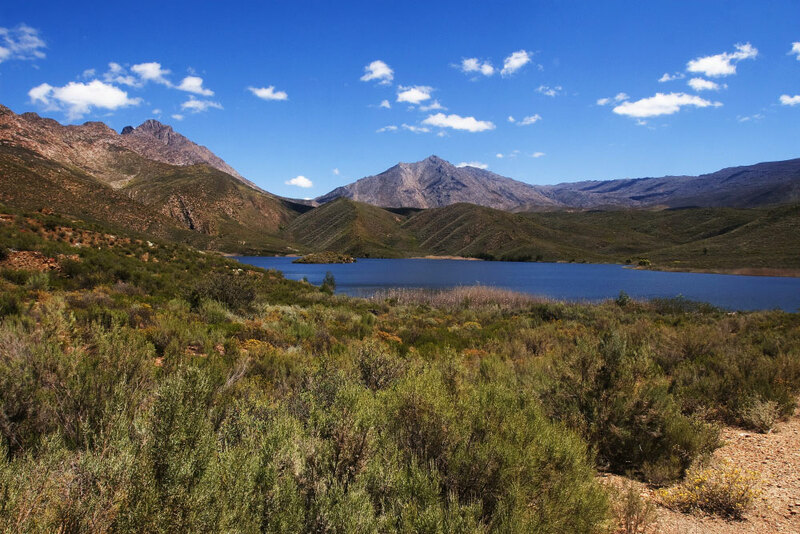 Heading downhill, a quick swim in a large dam at lunch time awaits, before you head on to the beautiful camp and warm hospitality at Simonskloof. 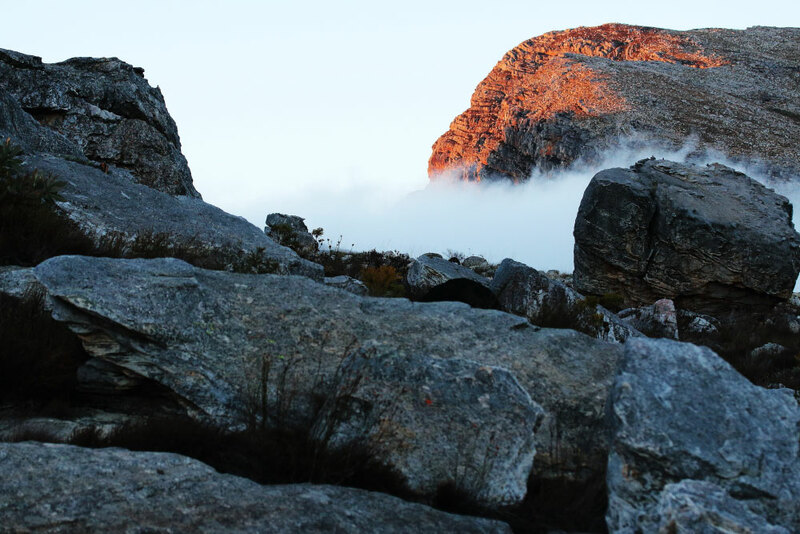 What makes this stage so special is savouring the wild rugged beauty and a variety of rare mountain wilderness. 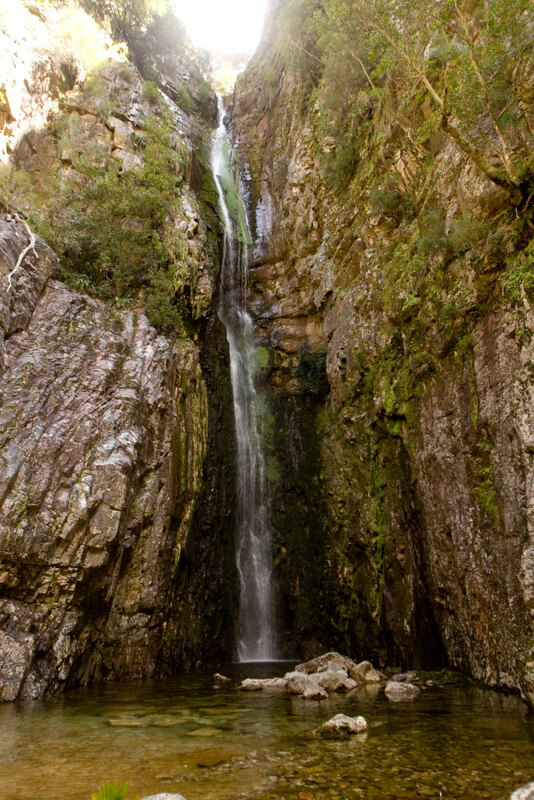 The difficulty rating Hiking South Africa gives to established trails is based on the Amatola Trail being a 10/10. Most of the Rim is much harder and more technical than the Amatola. 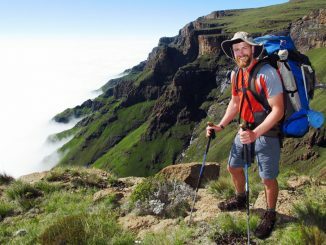 Rim of Africa is not a “trail” but a mountain traverse, and thus it should not be underestimated. 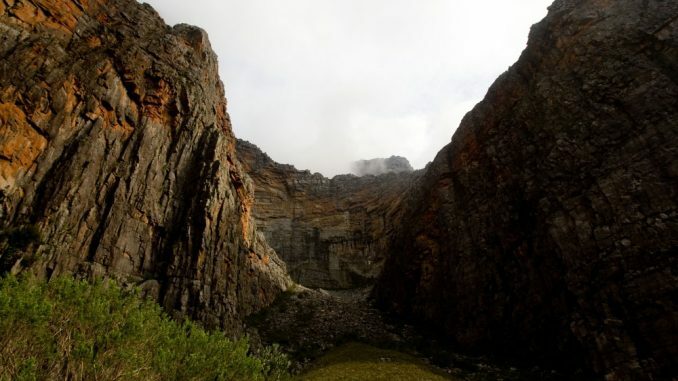 The technical ratings of Rim of Africa traverses may also vary from year to year based on weather, the route chosen and the off-trail nature of the hike. 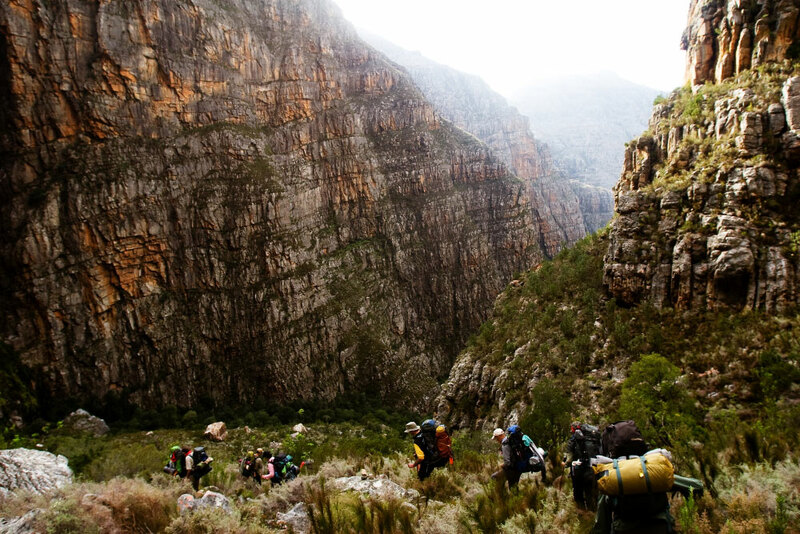 For more information on the Rim of Africa hike, go to rimofafrica.co.za.